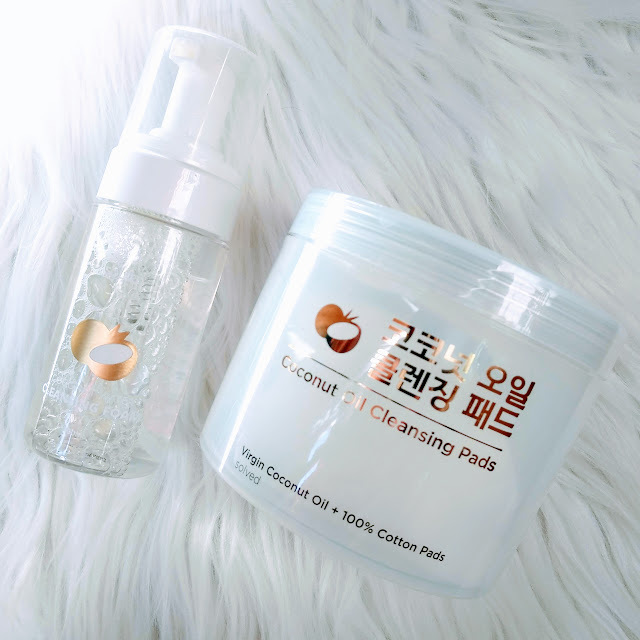 I have posted these 2 items from Solved Skincare November 2018 and I noticed that I've been insta-blogging a lot that time. I decided to put my thoughts as well for this product here on my blog site as well. Solve Skincare Korea has been very thoughtful to send these items for me to test out. Removing makeup is one the best thing to go when I got home. Cleansing is the most enjoyable part of my skincare routine. I thought these pads are normal VCO or the virgin coconut oil which is also famous here in the Philippines for many uses. I said that because of the noticeable smell of the VCO. The pad is not your ordinary single-layer pads, it's two-sided pads with pockets! side to exfoliate + a gentle flat side. 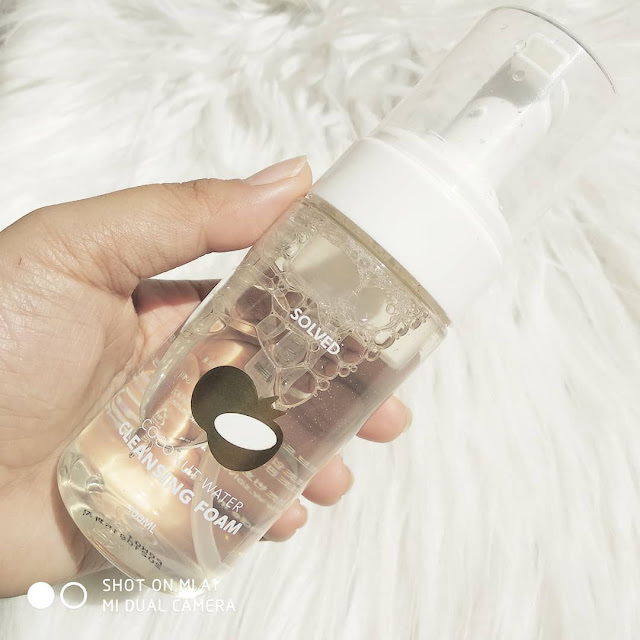 The cleansing oil from the pads completely emulsifies with water and it washed off all the makeup and does leave the skin well-hydrated. 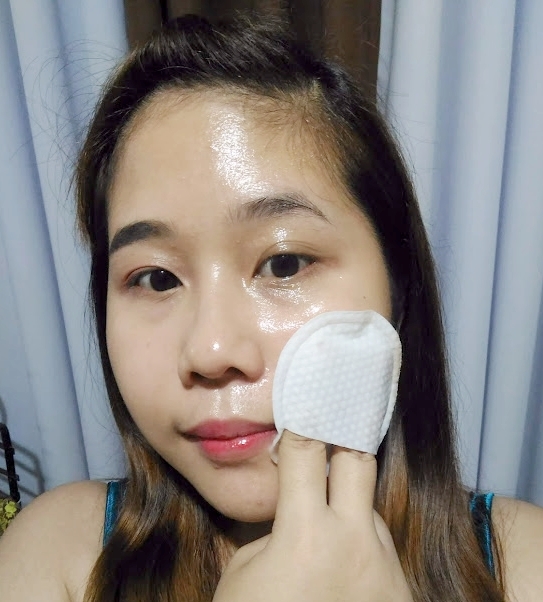 My hard-to-remove liquid lipsticks can be removed with these pads as well~ Yay! A tub contains 40 cleansing pads - I thinking of cutting the pads because I think half can work for my face since I only wear minimal daily makeup. My cleansing pads come with a mini travel-friendly tub, which I can bring with me like 5 cleansing pads inside. This cleansing foam has a pH of 5.5 and claims to have 75% Coconut water and a big plus would be EWG green grade ingredients! That's surely great ingredients safe for the skin. I used it morning as my main cleanser and evening as my secondary cleanser when I double cleanse to remove the makeup and dirt on my face. It comes in a foaming packaging. Compared to the coconut cleansing pads, the foam scent was just a little of coconut smell. I don't really bother since I even drink VCO, Coconut Juice, and even apply coconut oil to my body and even during a massage. The Cleansing Foam somehow makes my skin look brighter and well hydrated was it really because of the coconut ingredient? or the other EWG ingredient? I don't know but as long as its fine, I approve!